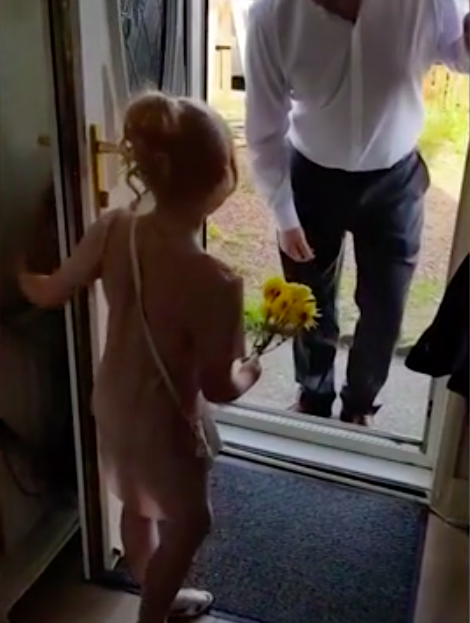 The first date is one that will be remembered over the years, and one dad did everything in his power to make sure his stepdaughter’s first date set a high standard. Romance movies have done their part to create quite the ideal for a first date over the years. Some people might dream of a sharply dressed man greeting them at the door with flowers before taking them out to a fancy dinner, and then be disappointed when reality hits and they end up in Taco Bell. 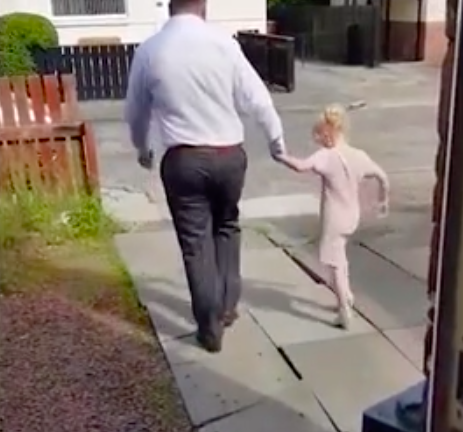 One man, however, set out to impress when he decided to take his six-year-old stepdaughter out on a date, and her mum managed to capture the sweet moment on video. Stepfather Andy Terry wanted to show his stepdaughter how she ‘deserved to be treated’ by any future potential boyfriends, so took the six-year-old out on a date to an Italian restaurant for a slap-up three course meal. Sophie reportedly was very excited for her date, and insisted she got new shoes to match her dress in order to look her best. The video shows Sophie’s mother calling for her daughter, telling her there’s someone at the door for her. Sophie comes to the door excitedly, dressed in a pink dress ready for her date. 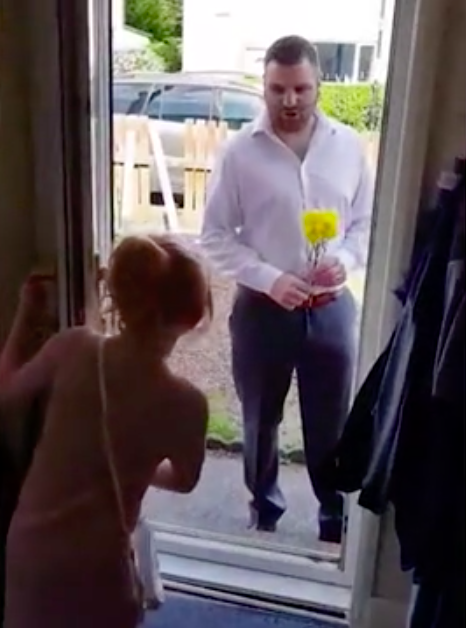 A romance film come true, Andy waits at the door with flowers for Sophie. I have wanted to take Sophie on a daddy and daughter date for a while but it’s been tough finding the time. Then on the Wednesday she was upset about something and having a moment so I asked her if she wanted to go on a date to cheer her up. I picked her up and she was dead excited and she was really happy with her flowers. I think they surprised her a bit, she didn’t know what to do with them. I let her choose her dinner and she kept asking me if this was my first date and I told her ‘No, I’ve been on a date with your mam’ and then she would say, ‘well this is my first date.’ It was so funny. The date seemed to do its job, as Andy explained it was nice to be able to bond with Sophie with some time by themselves. He hopes it has set the precedent for Sophie’s future dates. It was really good bonding time for us. It was nice to be on our own and for me to really get to have a good conversation with her. I hope she learns from it how she deserves to be treated when she gets older and gets to that age where she is going on dates. I think that is so important, especially nowadays when there seems to be less respect for women. I’m a big believer in manners. Sophie suffers from albinism, often requiring her to cover her arms and legs and wear special sunglasses. Sophie’s mum explained it was a special moment when she could dress up for her date and not have to worry about covering up. Andy has always had such a great relationship with Sophie. We had discussed a daddy and daughter date a few times but just passing comments. But then he actually asked Sophie the other night just out of the blue because she was upset. He told her he’d pick her up at 4.30 the next day after school. Sophie was beaming. 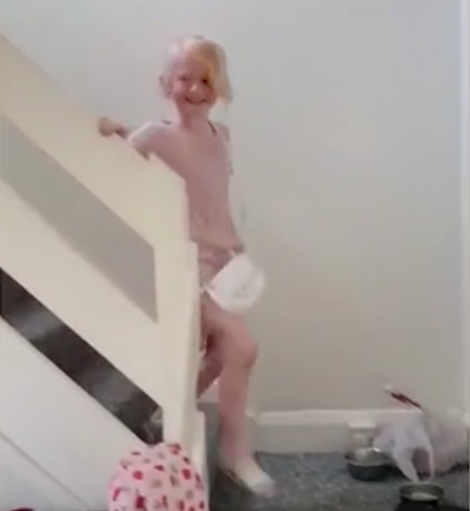 It was so lovely seeing her so happy as she came down the stairs. I will never forget that smile she had on her face. I think every woman has regrets and times where she settled for less than she deserves. Hopefully if Sophie learns from a young age that she is worth more than that then she’ll never have those. After the success of their first father-daughter date, Andy said there would be many more to come.